The Economic Community of West African States (ECOWAS) on Thursday adopted a Strategic Framework for Strengthening National Child Protection Systems to prevent and respond to violence, abuse and exploitation against children in West Africa. A statement signed by Geoffrey Njoku, Communication Specialist, United Nations For Children Fund (UNICEF) which was made available to INDEPENDENT said that the decision which will have positive implications for millions of children in West Africa was taken at the ECOWAS First Ladies’ Forum in Niamey, from October 2 to 5 2017. Based on the new framework Ministers responsible for the care and protection of children across the 15 Member States of ECOWAS agreed to take concrete measures to protect children from every form of violence, abuse and exploitation on a wide range of issues. The statement said: “Almost nine out of 10 children in West Africa experience violent discipline. While child marriage exists throughout the continent, it is especially prevalent in West Africa, which hosts six out of the ten countries with the highest rates of child marriage in the world: about four in ten young women in West Africa were married off as children. Led by the ECOWAS Commission, the Strategic Framework was developed in collaboration with a Regional Child Protection Working Group comprised of United Nations(UN) agencies and international non-governmental organisations and networks. “The Ministerial adoption marks a major step forward for the protection of children in our region”, said ECOWAS’ Commissioner for Social Affairs, Dr. Fatimata Dia Sow, whose organisation convened the gathering of experts and ministers from the 15 Member States. The statement noted, “Strong child protection systems can ensure that no child falls between the cracks. ” They provide the surest safeguards against child abuse, neglect, exploitation and other forms of violence through a concerted effort between formal and informal actors. The adoption of the Child Protection Framework provides a joint platform for action on the protection priorities for children. 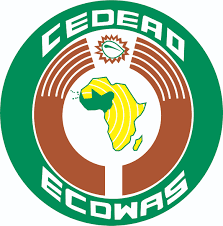 “As programmes for children are strengthened at national and community level, Ministerial commitments made during this week’s meeting will be submitted for approval at the next ECOWAS Heads of State meeting in December 2017,” it added. “In West Africa, urgent action is needed to address the acute vulnerabilities of children”, said Andy Brooks, the Chair of the Regional Child Protection Working Group. “We count on the commitment shown by the Ministers being echoed and supported by the Heads of States and the First Ladies’ network in West Africa. We will continue to support States to strengthen services on the ground and the ECOWAS Commission in tracking accountability to commitments made here today,”Brooks added.